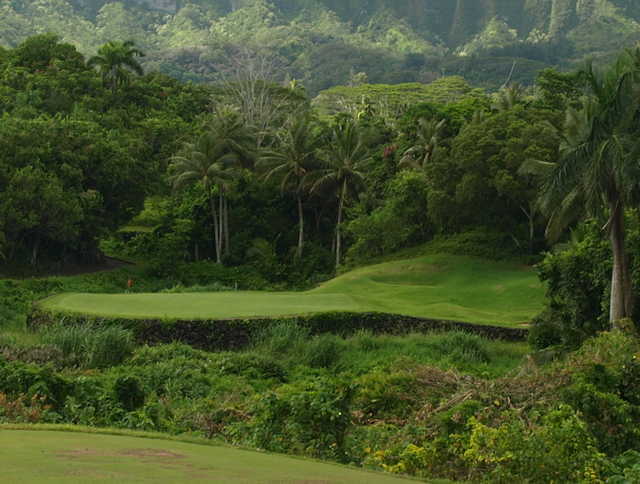 Royal Hawaiian Golf Club has 18 holes, par 72 and 6595 yards. All prices per person and include golf cart rental. Perhaps the most beautiful golf course on Oahu, Royal Hawaiian is a one-of-a-kind creation, sculpted by Pete/Perry Dye Design in 1994. 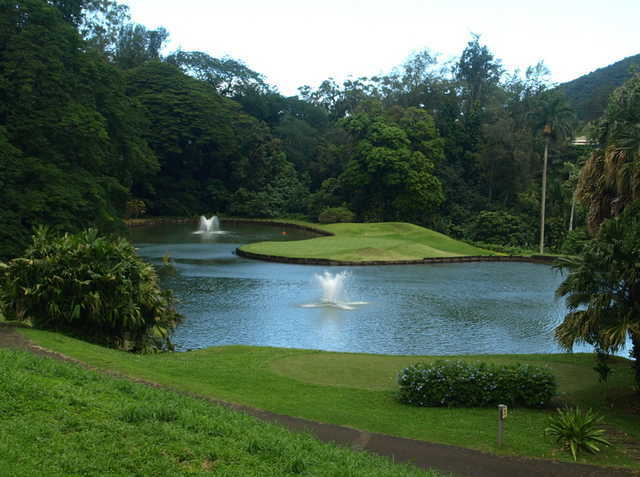 Situated only 20 minutes from Honolulu in the Ko'olau Mountains. 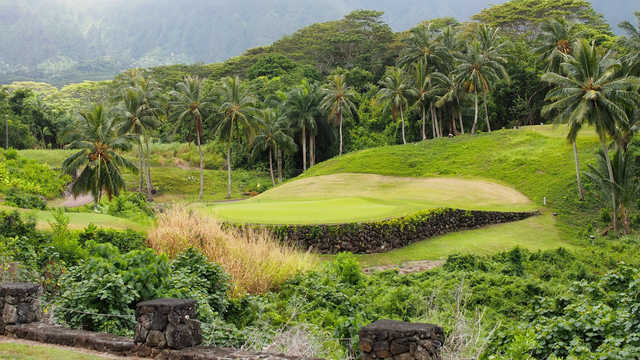 Located in the back of beautiful Maunawili Valley on the windward side of Oahu, Royal Hawaiian Golf Club is the first course in Hawaii designed by Perry Dye and his famous brother, Pete - one of the most accomplished golf architects in America. The Dye brothers made sure to incorporate many of their trademark design features, including a variety of forced carries off the tee, bunkers bordered by railroad ties, par-3's over water to island greens, and fairways that fall off steeply into bunkers and ravines. 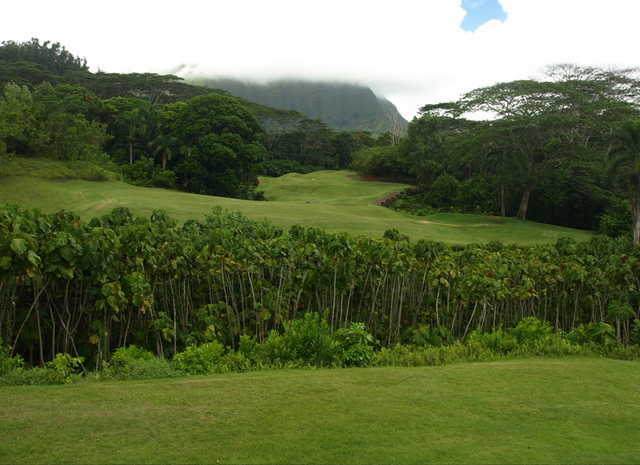 Royal Hawaiian is set in awesome natural surroundings beneath the deep green folds of the Ko'olau Mountains. 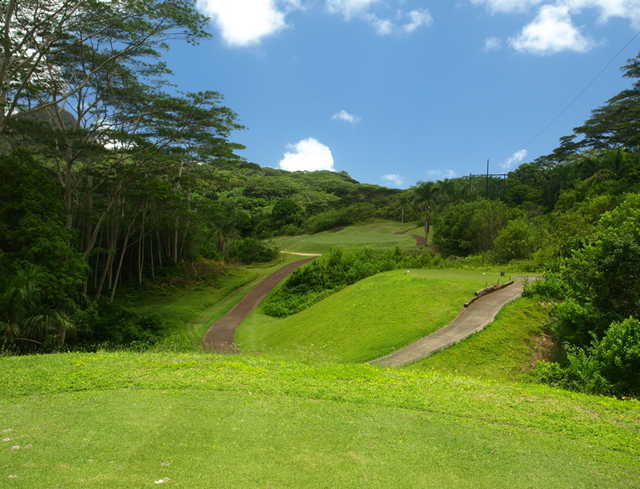 The front nine plays across the lower slopes of Mount Olomana, while the back nine wends its way through a tropical rain forest with dramatic changes in elevation. Local residences refer to it as "Jurassic Park" because there are few signs of civilization, only the surrounding forest and the mountain peaks overhead.